Apocalypse Now, released in 1979 is widely regarded as being one of the most profound war films ever created. However, it is also quite famous in a way that director, Francis Ford Coppola never imagined. Although portrayed in Vietnam, Apocalypse Now was actually filmed in the small fishing village of Baler in the northern Philippines. 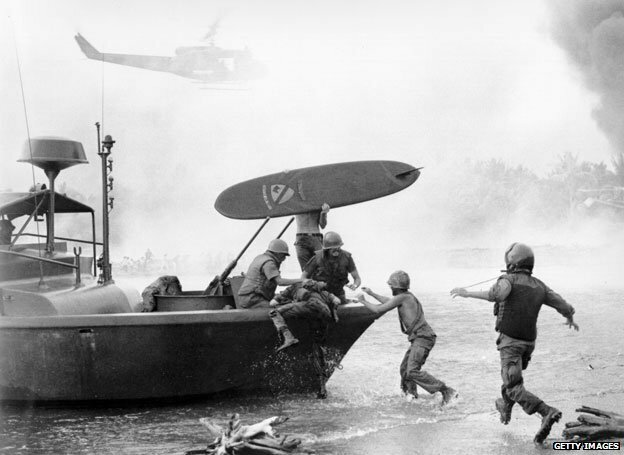 Many recall Colonel Kilgore’s memorable line “Charlie don’t surf” in reference to the American soldiers’ enemy, the Viet Kong, as he tries to persuade his troops to ride the waves amidst the bombs that are falling all around them. Watching this action from the sidelines were local Filipino kids, like Edwin Nomoro. Without realizing it, the film crew of Apocalypse Now had started a surfing revolution in the Phillippines. Amongst the mayhem unfolding on his local beach, Nomoro was most mesmerized by the sight of people surfing. 30 years later, Nomoro can proudly say that he was able to turn his passion into a source of income. He is able to make a living from an industry he helped to create first hand in his home village. Here at a Liquid Future, we see a direct parallel between this story of how surfing has changed Nomoro’s life and the way in which surfing is influencing the lives of the local community in Katiet. Each year, more and more people are opening up home-stays and restaurants to cater to traveling surfers. Just last year, local surfer Imer set up the first ding repair shop in Katiet, with a hope to help locals and tourists alike. A growing number of locals in Katiet are also sharing in the joys of surfing. Often, tourists leave a few boards behind that then get passed on from child to child until the board is merely just a piece of foam. By the end of its time, that piece of foam has resulted in countless smiles and touched the hearts of many. The locals really see the advantage in taking part in the burgeoning surf tourism in their area. They are excited to learn English, so there can be an intercultural exchange and a sharing of knowledge. Surf tourism directly gives them an open doorway to endless opportunities.